Culver Bulldogs football team loses last game of season 49-7 to Sheridan Spartans. The Culver Bulldog football team lost their last game of the season to No. 2 ranked Sheridan 49-7 on Oct. 26. The Bulldogs finished the season 3-6 overall, 2-4 in league. "The kids flew around and made some plays," said Culver football head coach Jesus Retano. Culver attempted a reverse pass early in the game. It was a play they found success in against Chemawa on Oct. 12. The play was wide open, but the Bulldogs could not complete the throw and were forced to punt. Sheridan scored on its next possession. The Bulldogs tried the reverse pass one more time and scored, but it was called back due to a penalty. Culver could not get their offense going and were down 31-0 at the half. Culver found a way to get on the scoreboard in the second half. 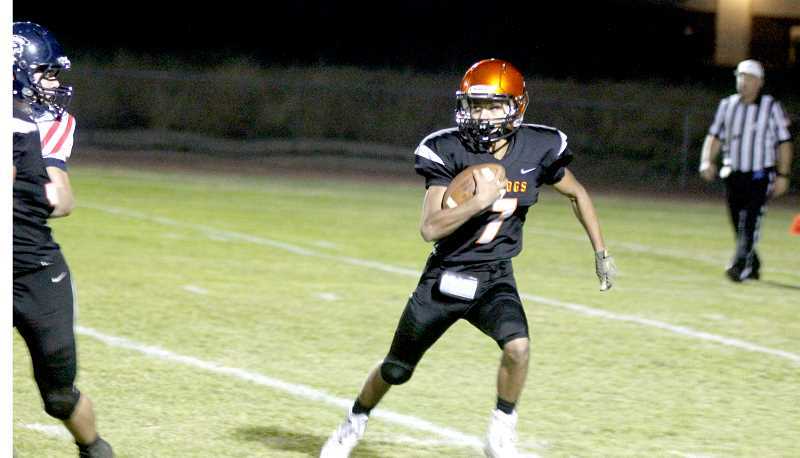 With running back Justyce Loredo at quarterback, the team ran the ball until he scored with around four minutes left in the game. The Bulldogs had another chance to score late in the game, but a fumble was recovered by Sheridan. Sheridan ran the clock out the rest of the game and beat the Bulldogs 49-7. "It was a lot of little mistakes," Retano said. "Sheridan is a good football team and I think they are going to go to the championship this year. The kids played good and the energy was there. We were the underdogs. They knew it, we knew, everyone knew it and even with all the points, the kids kept fighting. I was proud of them." "It was a great season with the team," Retano said. "Much improvement from last year. I want to thank the seniors, Joe Russo, Kyler Cox, Uriel Miranda and Garrett Goelze. Those guys put the work in for the past four years and hopefully, the younger guys can keep it rolling." "The coaches were telling the kids Thursday that they are not a bad team," he said. "In our league, they took three teams to state. Put us in another league and I think we had a fighting chance for the playoffs. Some things just didn't roll our way." "I still think about those first two games and think we could have had those first two games," Retano said. 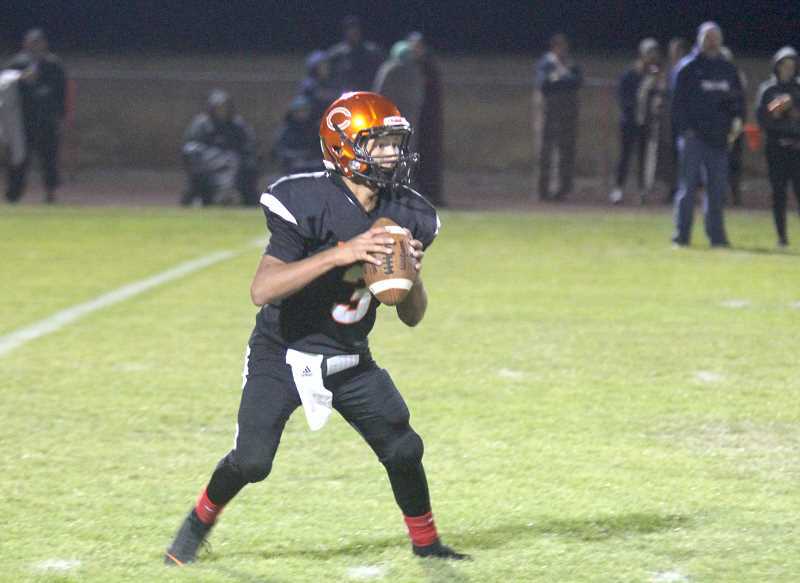 "It was early in the season and we had a sophomore quarterback who is learning. He now has a year under his belt and I think he will do an outstanding job." "Our senior and junior class will be pretty big next year — the biggest we have had in awhile," he said. "That is going to be good. We had a lot of young guys this year and overall, I think it was a good season. We improved from last year, but there's still room for improvement, but I will take that season with those guys any year."